Two people were hurt in the crash. 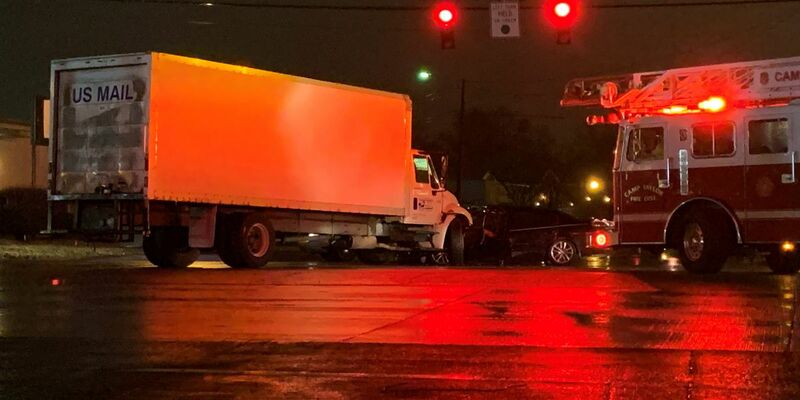 LOUISVILLE, KY (WAVE) - A car collided with a box truck carrying mail in southeast Louisville on Wednesday night. The crash happened around 6:15 p.m. near the intersection of Poplar Level Road and Gardiner Lane, MetroSafe confirmed. Emergency crews found the two vehicles hit each other head-on. Two people in the passenger car were rushed to University Hospital. The extent of their injuries are not yet known. The driver of the U.S. mail truck was not hurt. Louisville Metro Police are investigating what caused the crash.